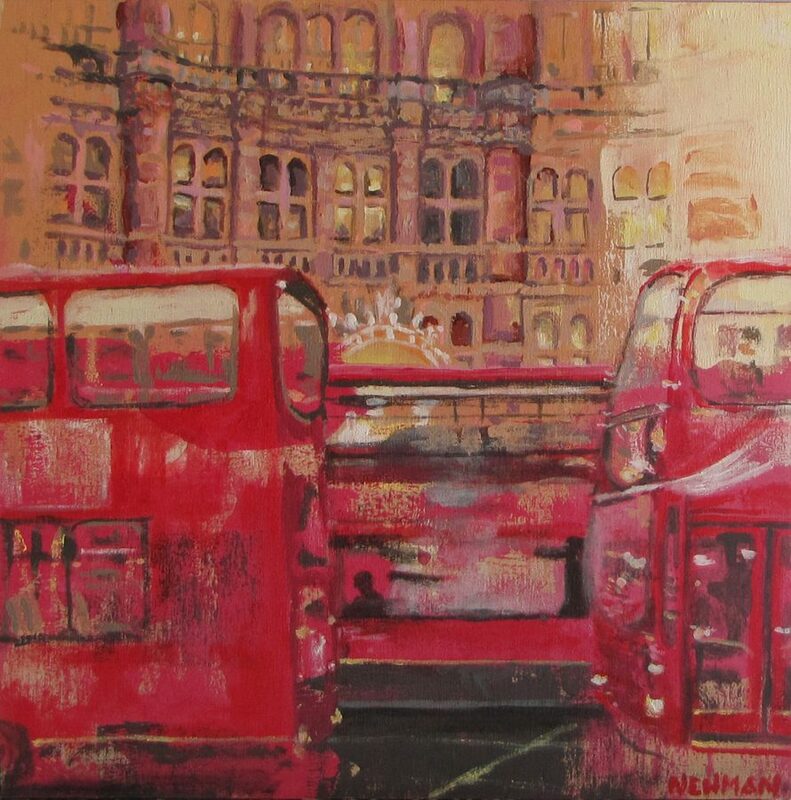 I have chosen urban architecture as the subject matter for my paintings. Buildings are the main way that we visually transform the world around us. They are an important part of our landscape, that tell a story about the people who built and used them. My goal is to create beautiful portraits of these structures hopefully uncovering the stories that these time capsules have locked inside of them. I focus on using color to bring out the beauty that others don’t see. My completed paintings are medium-large, usually 30” x 40”, so that they are big enough for the viewer to enter the painting. Using acrylic paint on canvas, I usually capture my buildings at sunset, as I think it is a time of transition and movement. 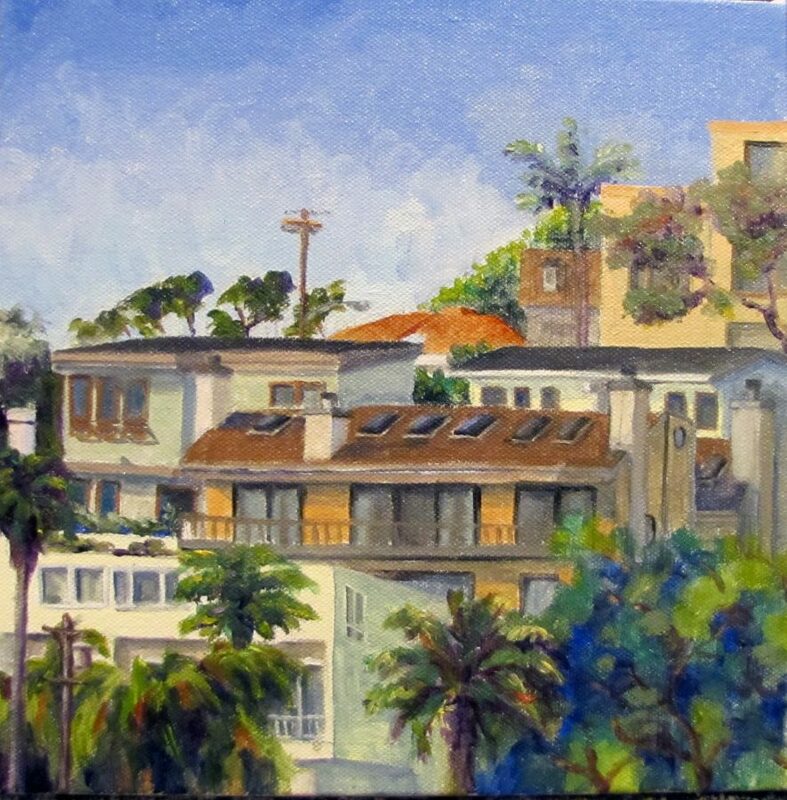 I often paint buildings in my current home of San Diego. Using subjects from diverse neighborhoods allows me to explore various aspects of how the city is changing. Gentrification, demolition through neglect, and adaptive reuse are all themes explored through carefully chosen subject buildings. Recently I have expanded my subjects to include international locations, Urban planners have long identified the third space as a place for socializing with one’s community. In this theory the first space is home, and the second space is the workplace. These paintings explore different locations where people tend to gather in different cities. For example; a café in Paris, a pub in London, a barber shop in Atlanta. These paintings will be included in an upcoming book “Painted Streets,” co-authored by Lawrence Herzog.